Have you heard of Tea Collection? 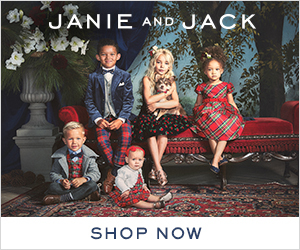 They offer a variety of cute clothing in sizes newborn all the way to size 12 for boys and girls. 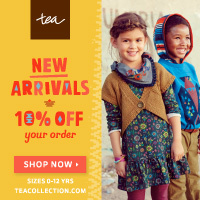 They have some really cute outfits and they currently have their summer styles the India Collection out and about. If you haven't checked them out yet, you should! One of my favorites for baby girls is the blooming Lilly Shift dress it comes in Primerose and Yuzu colors. My favorite is the primrose and would look so cute on any little princess this summer. It is on sale right now for $18.95. Many of the India collection summer styles are 50% off. Another one of my favorites for baby boys is the baby blow fish graphic tee shirt. Right now it is on sale for $19.95. Both of these shirts can be found at the links below under the summer sale for baby girls and boys. I love the colors of the girl dress and I love how fun the boys shirt looks! Today we went shopping and we spent $19.46. Not the greatest deal but hey I'll take it. Especially when we purchased 28 items. Not to mention the oxiclean's have rebates on them so that means money back! If you would like the breakdown on anything just leave me a comment! Who Needs Free Pictures? I know I do! How many of you have pictures, that desperately needed to be printed off? If you are like me you do! I think I take pictures of my daughter everyday! I think she is so precious, I don't want to miss a moment. If you are like me when you get around to printing them off you want a deal! What about getting them for free! That's right this is a deal you do not want to miss out on! Celebrate family and turn memories into art! You can do just that and save some serious green along the way - Through the end of the month, get 100 free 4x6 prints from Shutterfly. Click here to take advantage of this deal today! Expecting a new baby? Seeing old friends? Meeting new ones? Capture those moments and share them with others! Now through June 30, Shutterfly is offering 100 free 4x6 prints from Shutterfly. Click here to take advantage of this deal today! Love a great deal?? Who doesn't ... especially when it involves something free! Shutterfly is offering 100 free 4x6 print. Make sure you use the code 100FREEPRINTS by June 30th! Offer expires 6/30/2015 (11:59 P.M. PT). 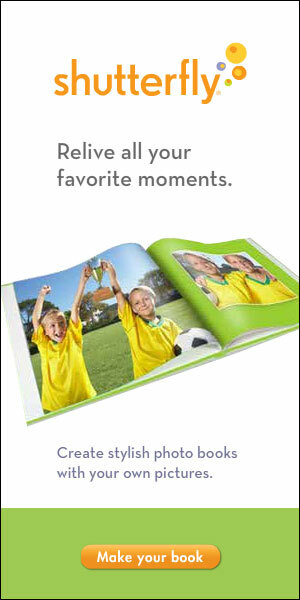 Offer is good for 100 free 4x6 prints through shutterfly.com or our mobile-friendly site. Offer cannot be redeemed more than once per account and/or billing address. Taxes, shipping and handling will apply. Not valid on other sizes, other products, prepaid plans, prior purchases, orders placed for in-store pick up and purchases made on the Shutterfly apps. Cannot be redeemed for cash or combined with other offers or credits. Not valid for resale. Special Deal on Mabel's Labels! Limited Edition Camp Label Packs! Do you have kids in your life? Do you love sales? This is the deal for you. As a Mother, I am always looking for the cutest clothes. As a mom on a limited income I love sales and when I can find my daughter wonderful clothing at a stellar deal I am a happy mommy! Gymboree offers clothing in an arrangement of sizes from newborn up until size 12. There clothing is bright, vibrant and most of all it is in style. Twice a year they have a huge sale where everything is 75% off! Another great thing about Gymboree is you can earn $25 gymbucks for every $50 spent. Which is basically free money coming back to you! That means more clothes for your little ones. It is summer time and our kids are growing. Now is the time to purchase back to school clothes, when you can get them for sale! Don't get left behind. Go check out everything they have to offer! 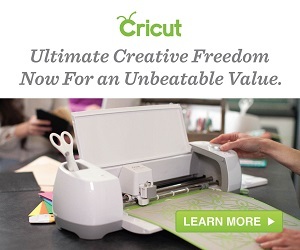 Cricut? What is it? Check Out the First Post of Several! Sunglasses can be the perfect summer accessory, which is why you should have more than one pair for all your different summer soirees. Got an outdoor wedding to attend? Try out Warby Parker's Beckett shades in Jet Black. Gathering with friends for cocktails on the deck? Madison in Rum Cherry will definitely add to the fun. And when you're ready to hit the beach, be sure to grab your Jennings in Beach Glass. Beckett is designed for narrow-sized faces. It's tapered temple arms and an impeccably crafted bridge will give you a fresh, unique look. Madison is your unmistakably adventurous pair of sunglasses. These shades feature a traditional bridge and medium width that will suit most faces. Jennings is a frame for all. Their curved brow, keyhole bridge, and medium shape will leave you looking cool-as-a-cucumber whether you're smoking some shrimp on the barbie or leisurely lounging in the pool. New Pool Side Beauty Welcome Box for Free! If you haven't checked out julep now is the time to do so! They are offering! Yourself, your teenager or that cousin that lives long distance. Don't forget that Christmas will be here before you know it. These also make fantastic birthday gifts! To get this awesome box for free just add it to your chart. When you go to check out use the code SUMMER. Your total will be $0 but shipping will cost $2.99! That's right look at what all you are getting for only the cost of shipping! Get A Free 4 Piece Gift Set! Kick off the summer with three new bright and bold nail colors and a fan favorite beauty product when you join the Julep subscription box program, Julep Maven. The Summer Brights Welcome Box offer is valued at $62, but free for new subscribers (just pay $2.99 shipping). As a Julep Maven you get brand-new, can't-miss color and beauty each month that is full sized and fully customizable. Get started now! 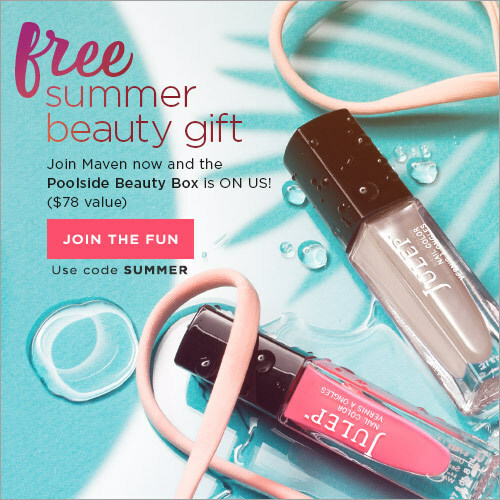 Join Julep Maven and get the Summer Brights Welcome Box FREE ($62 value) - just pay $2.99 shipping with code SUMMERFUN or get your Welcome Box FREE when you pre-pay for your first three months. Either way, you are going to LOVE being a Maven.